Welcome back for another food craft! 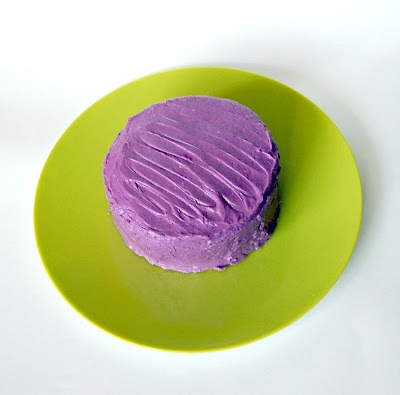 Ok, this one isn't much of a food, it's a frosting only post! This is great on cakes, but also can be spread on your favorite cookies or dare I say graham crackers would be mighty tasty with some as well. It is a pretty simple recipe, and great for Summer, especially right now as it is Blueberry season. To start, you will need to make a blueberry syrup. To do this just place your blueberries, granulated sugar and lemon juice into a saucepan over medium to medium low heat. Cook for approximately 5 minutes, stirring occasionally. Your berries will open up and give out tons of yummy juice. You want to cook this down just a little bit and then pass the mixture through a fine mesh sieve, catching all the yummy blueberry goodness. Set this in the refrigerator to chill. This makes about 5-6 tablespoons of blueberry syrup. In a separate bowl, cream together your butter, vanilla and egg yolk. Slowly add confectioners sugar until incorporated. Remove your blueberry syrup and add 3 or more Tablespoons (depending on taste--I used all of mine, yum!). Mix on high for about 30 seconds until incorporated, the frosting should be light and fluffy. Spread onto your favorite cake, cupcakes or cookies (cooled, of course). 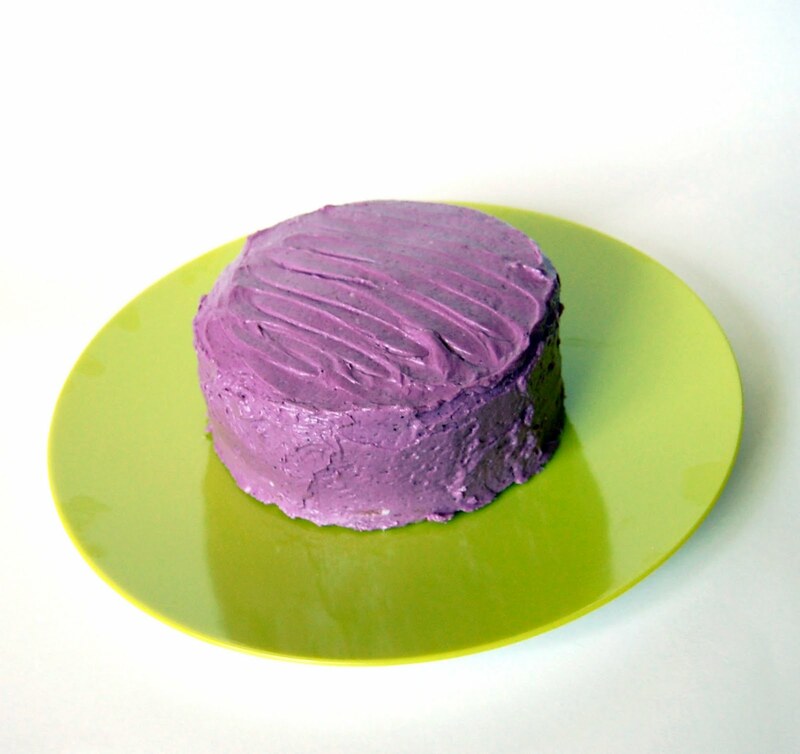 I kept my cake in the refrigerator until it was gone, it keeps the frosting from getting all melty. Take it out about 30 minutes before you plan to serve.